QUESTION: I am in the process of trying to rebuild my credit. I have a credit card in collections on my credit reports. The last payment made was 7/20/2015. It was listed as charged off as of 4/2016. The debt was sold to a collections agency and they reported an over the limit balance to Transunion making this old debt appear new and hurting my utilization rate. The card was through Capital One. I disputed the information on my credit report because it was a charge off and showed a balance and I recently received a settlement letter from a collections agency for this account. The direct dispute results came back and it stated account was verified. This in turn makes this account look current. The information Capital One is providing is inaccurate and now they are reporting I am over my limit for this card every 4 days since January 2017. to the credit agencies. Can they do that and what can I do to rectify this situation? I was planning on trying to negotiate a pay for delete once I receive my tax refund but there are differences in the information they are reporting between Experian and Transunion. I feel they are trying to bully me for a payment but reporting over the limit every four days. It is killing all the progress I have made rebuilding my credit. ANSWER: If Capital One is reporting a balance then they still own the debt. 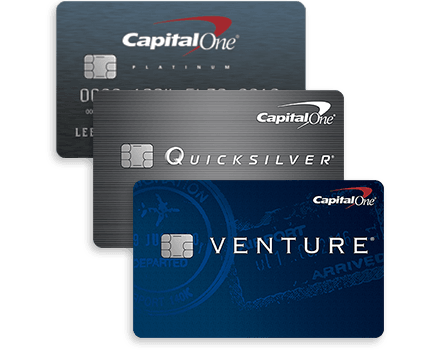 Capital One is undoubtedly doing just what you think…trying to make you pay. The tactics they use in reporting are within the Fair Credit Reporting Act even though they are unconventional. Updating and reporting your balance greatly harms your credit scores because of the negative impact on your utilization, and, causing the negative account to appear to more recent. I really can’t explain the different reporting from credit bureau to credit bureau; however, the FCRA only requires that information reported be accurate. Creditors can choose to report negative information one way at Experian and another way at Transunion, or not report to one credit bureau at all. Most creditors that charge-off accounts sell the debt, report a zero balance and cease updating to the credit bureaus. This allows the negative account to age which eventually leads to it having less and less impact on your credit scores. Because Capital One updates unpaid debt on a consistent basis your only option may be to pay it regardless of whether they agree to a pay for delete agreement. While a pay for delete would be great for your scores, simply paying the debt can also help in the long run and here is why: Once the debt is paid your scores will benefit from Capital One not consistently updating the account with the credit bureaus. The account will then begin to age. The older a negative account gets on your credit reports, the less impact it has on your credit scores. Because credit cards are considered revolving accounts, payment will also reduce your overall credit utilization. The account will no longer be included in utilization which may give you a bump in your scores. And, the Capital One may very well delete the account once it’s paid. Of course it’s better if you can negotiate a pay for delete prior to payment but even after you make the payment, you can send goodwill letters to Capital One’s Executive Offices requesting deletion. It may take more than one goodwill letter, but don’t give up.